CBIZ & MHM New England (formerly CBIZ Tofias) publish a range of resources for owners and financial executives of private and public companies, family offices and not-for-profit organizations. 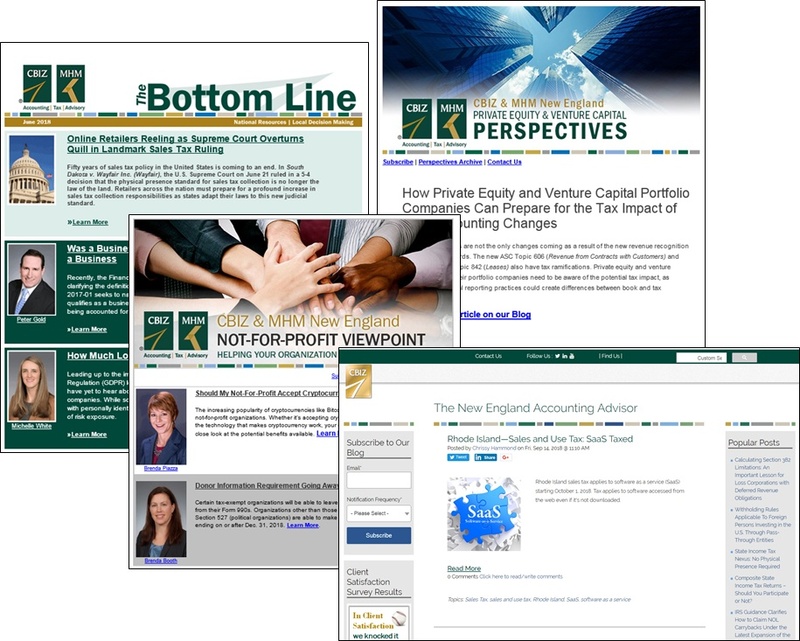 These publications cover the latest issues affecting our clients, from changing accounting, auditing, and tax regulations to best practices, emerging trends, and insights to strengthen your business. To receive any of these publications electronically, please subscribe by simply filling out the form today.